Buenas pedí oxandrolona y stazonolol de hilma biocare el pedido llegó muy rápido espero ver los resultados pronto recomiendo farmaboom por la rapidez de atención y el servicio un 10 seguir así. EXCELLENT SERVICE I have made my first order and it has been very satisfactory, easy and fast in the delivery. But above all the customer service is excellent. I will be a Farmaboom customer again. I recommend it to all. 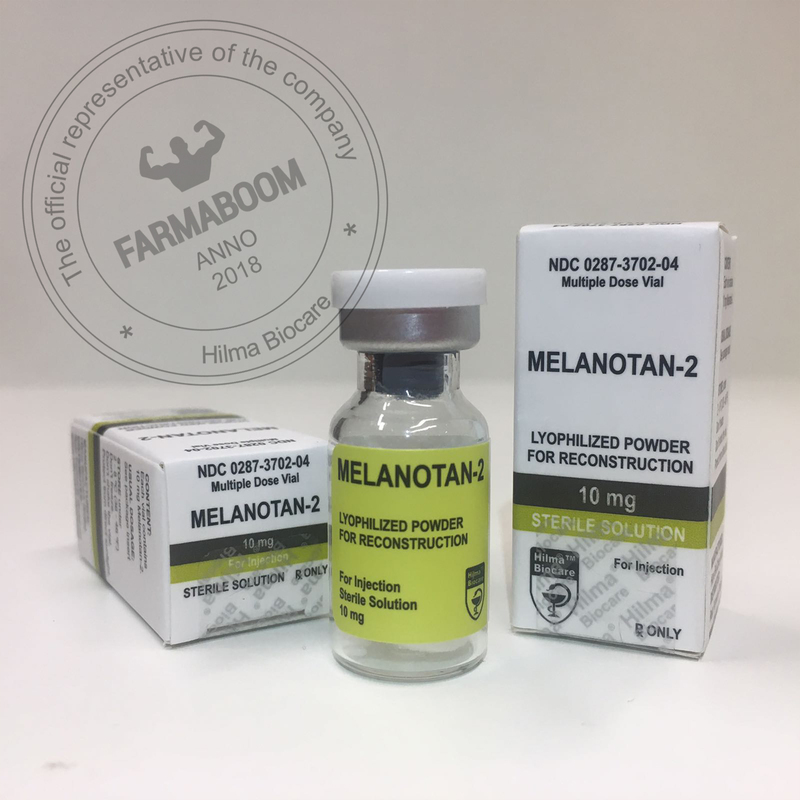 MELANOTAN 2 is a synthetically produced variant of a peptide hormone naturally produced in the body that stimulates melanogenesis, a process responsible for pigmentation of the skin. This peptide hormone, called alpha-Melanocyte stimulating hormone or MSH, activates certain melanocortin receptors in the process of exerting its effects. Indeed, MSH also exerts potent influence over lipid metabolism, appetite, and sexual libido via these melanocortin receptors. As a result, Melanotan 2 has been shown in studies to exhibit appetite suppressant, lipolytic, and libido-enhancing effects in addition to promoting skin tanning. Info: Melanotan II is a synthetic analog pituitary derived Melanocortin. The peptide is primarily known for its ability to help with tanning but is also used to aid in erectile function. 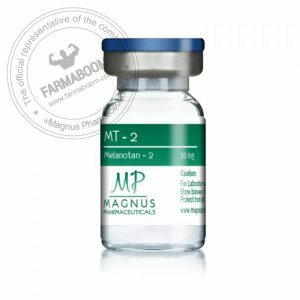 Melanotan II, also referred to as MT-2, has no use of significance beyond tanning and erectile function. Melanotan II (MT-2) functions by stimulating the alpha-MSH receptor. This is a receptor that produces melanin, which aids in the darkening of skin pigmentation. There are several alpha-MSH receptors in the body. Melanotan II functions by stimulating the MC1-5 receptor. Stimulation of this receptor promotes darkening of the skin. MT-2 also stimulates the MC4 receptor, which acts to increase penile erectile function. If you wish to use doses of less than 500mcg it would be best to use 2ml (200 units) of water. If you wish to use doses of 500mcg or more then you can use 1ml (100 units). This allows you to accurately measure doses while not having to inject more fluid than required. The most common side effect of Melanotan II is appetite suppression. Other possible side effects is nausea and fatigue or a lightheaded feeling. Melanotan II can also include the darkening of hair and moles. Some athletes use Melanotan 2 in after AAC cycle to be more tanned or increase penile erectile function. Unmixed vials will last 12 months stored in the refrigerator or freezer. Mixed Melanotan , will last for 3-5 weeks in the fridge. To find more information, please check instruction.